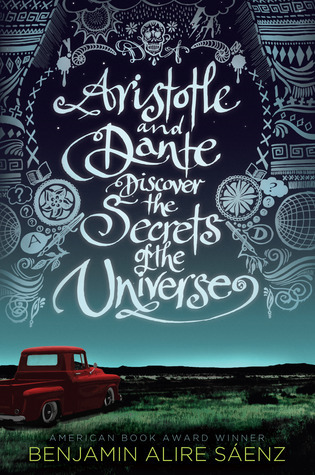 Aristotle (Ari) is burdened with living in a family with secrets. He knows that he has a brother who is in prison but there are no photos of him in the home and no one will tell Ari anything about him. His father is a war veteran and sinks into long bouts of silence and depression. Ari calls his mother a fascist because she is so controlling. He is a lonely spirit and although he sometimes longs for friends, he also enjoys spending time alone, pondering life while looking at the stars. He is obedient and respectful. When Ari met Dante he was both entranced by him and jealous of him. Dante is comfortable socially and loves himself. He loves poetry, swimming and drawing and although happy is his general mood; he has no problem crying when he is moved to do so. The two become fast friends. There is an accident, many revelations and the two boys learn to be true to themselves. Author Benjamin Alire Saenz has a background in poetry and it is noticeable in his beautiful word choices and the lilting flow of the story. The book is engaging while not unrealistically thrust with action. It is “about” homosexuality without turning it into a political issue. It is ultimately a picturesque coming of age story with imperfect, fully human characters who learn how to love.